The world of tech entrepreneurship is a rough & tumble one. And women entrepreneurs have it even tougher, with female founders historically securing less than 2.2% of all venture capital. As a solo female founder of a data analytics company, Erin Michelson had successfully navigated this environment and will share what is working for her. The discussion will focus on specific steps to take as you embark on your entrepreneurial journey and build a roadmap of success. Join Lesley Sackey, former GB boxer and mother of three girls, and Els Kolster, Corporate Athlete and boxing coach, on a journey to discover how to be a champion at work. Learn how to plan and achieve goals with a champion's mindset and overcome challenges with a winning attitude. We've all heard it before: you should be working smarter, not harder. Whether you are actively job seeking or open to new job opportunities using LinkedIn is going to a play a key part in your job search success. Now, you may well have joined LinkedIn because it seemed the right thing to do or because other people had suggested you should but, right now you are not getting the results you want. There’s a big difference between the actions of jobseekers who join LinkedIn in the hope that a new job opportunity will appear and those that make this a higher probability. This webinar is your opportunity to learn and apply valuable knowledge to help you standout from your competition on LinkedIn. There is a fundamental conflict within the recruitment and talent management sectors. On one hand, you are constantly told to find the best talent, the future leaders and innovators for your business, yet at the same time, told to use standardised recruitment processes. Not only do they fail at helping you identify the best candidates, their use also discourages the real talent from applying in the first place. In this webinar I discuss the business rationale for ditching the cv and moving towards a more people focused recruitment and talent management future. A career transition can be challenging, but ultimately immensely rewarding. 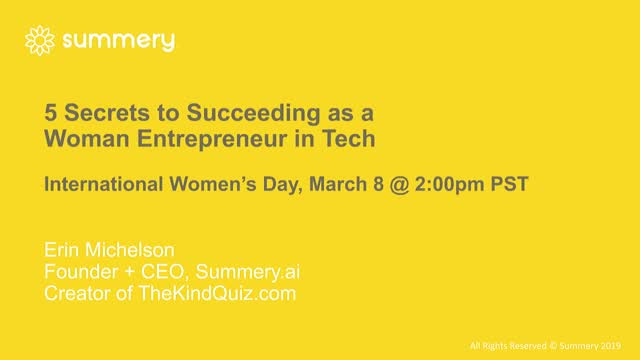 This webinar will help you identify which stage of the journey you’re at and gives you tried and tested tools, tips and techniques to overcome those doubts, fears and knowledge gaps. Taking you from first thoughts to taking concrete steps towards your desired career. Have you unlocked your full potential on social media? If you're a business owner, marketing manager, or personal brand who wants to get better and bigger results from social media in 2019, sign up to learn the tricks of the trade from Corrie Jones, founder of Untapped - a London-based social media agency. This webinar will cover the 5 steps of a strong social media marketing strategy, including how to figure out your social media goals; which channels to use to reach your target audience; the kind of content to post to get maximum shares and engagement; and how to measure the success of your social media activity with data and analytics. Amer Jandali is the founder of Future Meets Present, a start-up innovation company that designs sustainable products, systems, and events. Amer is blazing into creating globally unique zero-waste systems in commercial real estate and unique products to help regular people live sustainable lives. His profound, accessible insights into the rocky and unprecedented challenge of causing behavior change in oneself and others is time sensitive. As an environmental futurist, Amer will guide listeners to surprising, simple ways of acting into a global future we want in the present day. Jana Hlistova, Founder, The Purse Ltd.
Women are exposed to more financial risk over the course of their life. We have a different life trajectory compared to men which exposes us to more financial shock. Women not only have more career interruptions, we work in part-time, temporary or insecure employment and live longer than our male partner. Despite this women are less engaged when it comes to money and tend to save less and invest less. However report after report states that women want to learn more about money and investing. So what is going on? And how can women take control of their financial future? This webinar will outline how women can start to engage around money and what we need to do to build financial resilience. The aim is for the 'money conversation' to become accessible, fun and inspiring. At the same time we want to support women in having courage, clarity and confidence when it comes to money and investing. The Purse is dedicated to empowering women financially so they can build the life of their dreams. We provide coaching, training, a community and tools so we can all support, learn and grow together. Imagine. After countless applications and rejections, you have finally landed an interview for your ideal job. However, your excitement and delight quickly turns to dread. You have not had an interview for a while - possibly never. How an earth should you start to prepare for the most important moment in your career to date? On this webinar you will learn proven, practical steps you can take to present yourself confidently, clearly and professionally at your next interview. This will be an interactive webinar. Come and get your questions answered live. With devices constantly pinging and stealing our attention and flow, and ever increasing demands on our time from all quarters, it can feel hard at times to stay calm, keep your energy up and maximise the use of your time to get everything you want done. So often when you ask friends and colleagues how they are, they they snap back that they are 'tired', 'stressed', 'got far too much on to fit into the day' or even 'can't stop to chat, must keep going' usually with a big sigh and a look of slight panic or despair on their face. Instead of being one of those people, wouldn't it be amazing to feel energised, to feel calm and to know how to stay productive so that you feel in control of your professional and personal life? - What eats away at and what creates energy, so that you can feel full of bounce when it matters most to you. - Ways to stay calm no matter what, and how to understand triggers and behaviours that destroy your calm. - Productivity hacks, including examining whether it really is possible to multitask or whether it's all just a myth. Diversity and inclusion starts from the top, however the top is often where the lack of both is most obvious. -How can we create a more open and inclusive tech industry? -What are some of the hiring challenges organisations face? -What can senior executives do to ensure their employees have clear career paths and feel supported? The only constant thing in both our lives and our careers is changing. Having the ability to adapt to all the obstacles thrown at you is a skill that will no doubt help you become a more effective and successful professional. -What is agile and how can you implement it into your daily life? For research to have maximum impact, it can’t languish on a single website or dusty shelf. It can’t blend in with all the other studies being shared. This keynote will help you take a variety of stages – be they live, recorded, or written – and rock those stages with your findings. You will learn about a variety of dissemination opportunities and strategies to maximize those opportunities to reach varied audiences. Learn how to move listeners in your next TED Talk, conference, media interview, broadcast. Learn to move readers in your next chapter, paper, book, op-ed, article, or any other venue. Get extra tips and resources for traditionally underrepresented groups so more diverse perspectives are represented in field dialogue. This keynote will help you move people to understand, care about, remember, apply, and tell others about whatever you have discovered. The technology industry is one that is robust, complex, and dynamic. However, many forget that there are many career paths that one can take within the industry, and many of these may not be tech-focused. -What are the different career paths within tech? -How can organisations embrace candidates who don't have tech experience? Beyond societal benefits, improving gender equity is a solid business case. As we celebrate International Women's Day, join these 4 global experts and thought leaders for a comprehensive take on Inclusion and Sustainable Development. The state of women in the workplace is constantly evolving. Each year we make new strides to be more inclusive, close the gender pay gap across industries, and promote and support more women in business. This series will outline the current state of the industry, the challenges women are facing in their careers, as well as opportunities and solutions for women climbing the corporate ladder.